Triceratops. The horns are too long and straight, and the back leg is absurdly stocky. 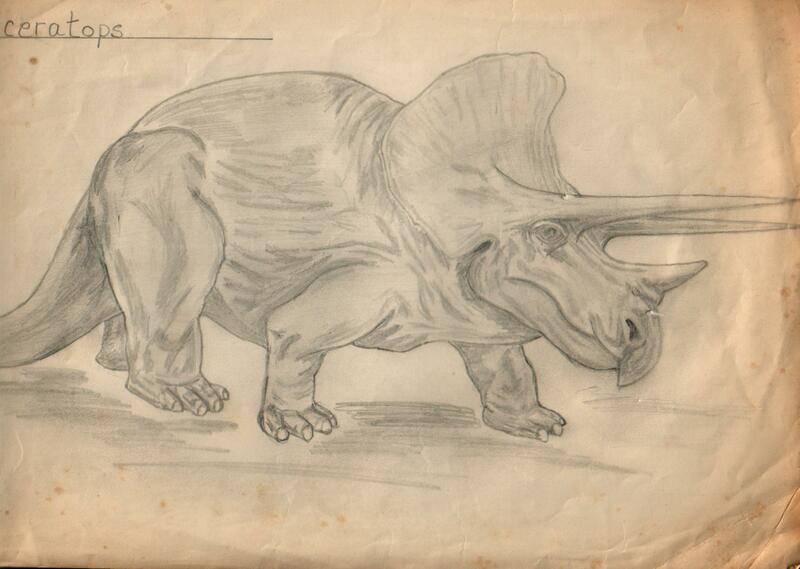 But deep in my heart, this is still what I believe Triceratops looked like. Or at least, what it should have looked like.